The benefit performance program Dance for Life Chicago announces a lineup of popular companies and artists returning to the stage August 17 at the Auditorium Theatre. Dance for Life, which mobilizes Chicago’s dance community to help raise funds for those facing critical health issues, has also added a post-show gala reception to its schedule, with this year’s taking place at the Hilton Chicago. 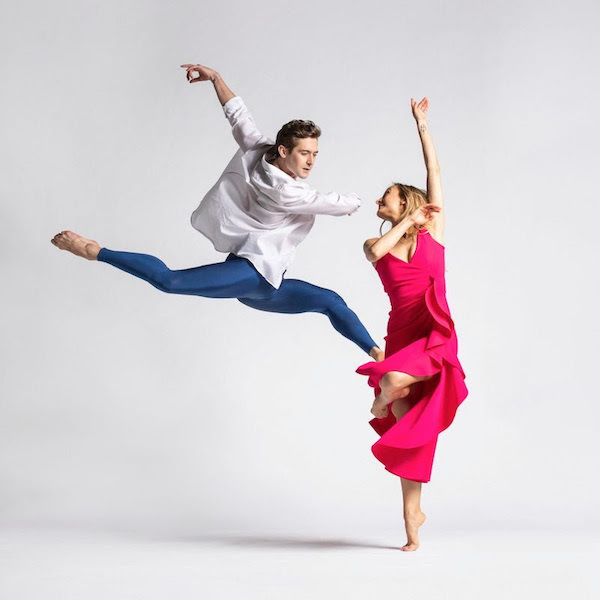 Joining the Partner Dance Companies that perform each year—Giordano Dance Chicago, Hubbard Street Dance Chicago and The Joffrey Ballet—are Chicago Dance Crash, Chicago Human Rhythm Project and Ensemble Español Spanish Dance Theater. The concert features a work in tribute to late dancer, choreographer and instructor Claire Bataille, choreographed by Robyn Mineko Williams, and concludes with a finale choreographed by Randy Duncan. Tickets—$300–650 for both the performance and gala reception and $15–75 for the performance only—go on sale May 1 by phone at 312-341-2300, online at chicagodancersunited.org or in person at the Auditorium Theatre Box Office. Tickets will also be available as an add-on to the Auditorium Theatre's 2019–20 season. Group tickets (10 or more) are also available. Hubbard Street Dance Chicago (HSDC) performs an excerpt from one of its signature works, Minus 16, choreographed by Ohad Naharin. Chicago Dance Crash performs Leap of Faith, choreographed by Artistic Director Jessica Deahr, which showcases its span of breakdance, acrobatics, hip-hop and concert dance techniques with a celebration of movement in the most raw, pure form: a freestyle. Chicago Human Rhythm Project’s work will be announced at a later date. Photo: Dancers Greig Matthews and Joanna Wozniak. Photo by Todd Rosenberg Photography.